The Grand National is the most prestigious horse racing event in the calendar and has been renowned for producing drama and excitement. One For Arthur produced an outstanding performance in 2017 to secure the crown, beating out his nearest rival for the title by four-and-a-half lengths. The horse was a slight outsider for the crown but was able to beat out his established opponents to take his place in the winners’ enclosure. The beauty of the National is its unpredictability. It has produced some of the most exciting and shocking moments in racing history. The atmosphere at Aintree for the meet is second-to-none, especially down the home straight. It has seen amazing finishes in its history and will continue to, as the race shows no sign of losing its allure in the United Kingdom, Ireland and beyond. We’ll now break down some of the most memorable moments in the history of the National. At 12 years of age, many pundits believed that the great horse could not win again at the Grand National. Red Rum announced himself on the National stage with a fine performance to claim the crown in 1973, beating Crisp down the stretch to triumph by three-quarters of a length. Red Rum secured back-to-back crowns with another strong outing in 1974, fending off the challenge of L’Escargot on the final straight. Red Rum was beaten by L’Escargot and Rag Trade in the next two seasons and there was not a great deal of hope that the bay gelding would win the contest again. However, Ginger McCain’s charge was outstanding to outlast his rivals and had just enough of a surge to get over the line to the delight of the Aintree crowd. His three crowns at the National remain the standard for competing horses. The horse was considered a 100/1 outsider for the event. It’s fair to say that no one gave Foinavon a hope of winning the National in the lead up before the race. Three jockeys had turned down the opportunity to ride the black gelding before John Buckingham took the reins. During the early stages of the race, it appeared that Foinavon would simply make up the numbers. 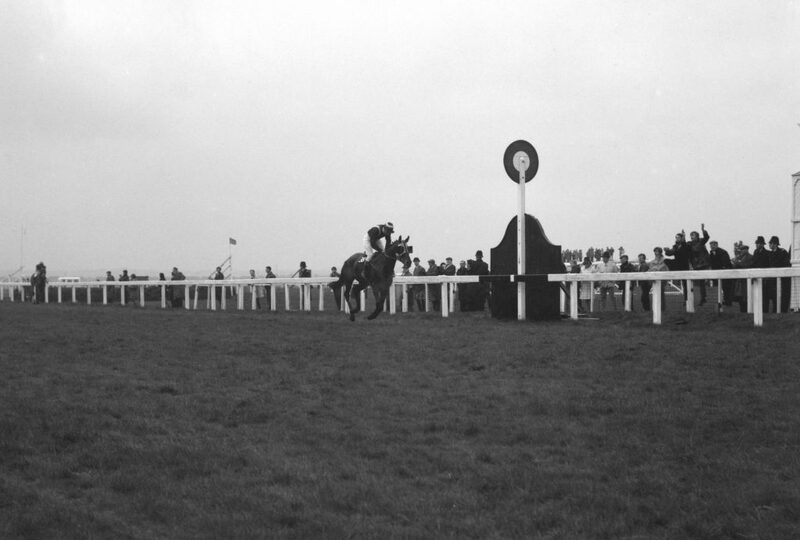 However, the race would turn after the majority of the field had successfully completed the jump at Becher’s Brook. At the 23rd fence, a riderless horse – Popham Down – disrupted the frontrunners, preventing them from making the jump. Foinavon was the only competitor to clear the hurdle at the first attempt and was able to hold off attempts to pass him down the stretch, claiming a miraculous victory. There have been other winners that have been equally long shots to win the National. Although, Foinavon’s manner of victory may be the most improbable in the history of the race. 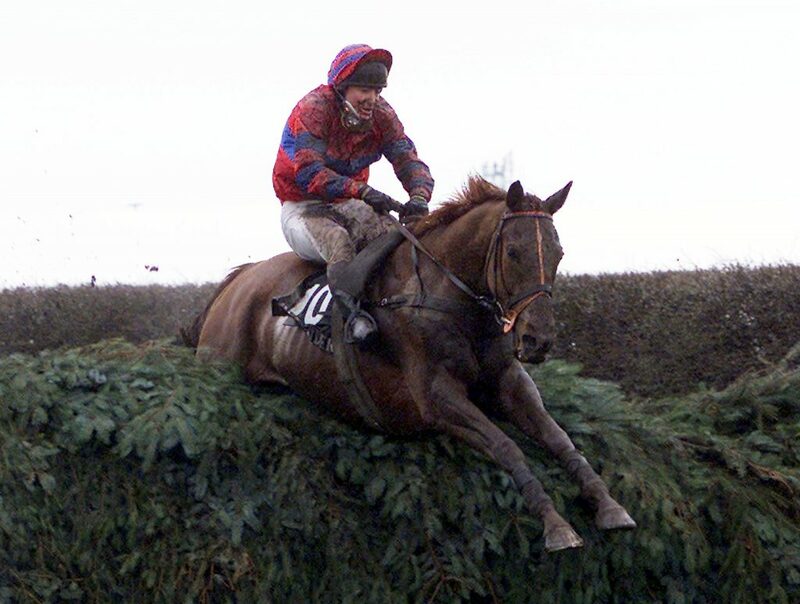 The 2001 National was the ultimate test of horse and jockey at Aintree. Conditions were heavy to say the least, with a great deal of water and mud present on the track. Edmond and Moral Support were the favourites for the title, but the duo, along with the rest of the field, had difficulty in finding their rhythm. After nine fences 26 horses were out of the race, including Moral Support, while Edmond fell at The Chair. As a result, there were few competitors battling it out for the win, but Red Marauder and Smarty were duelling it out down the stretch. At the penultimate fence, Richard Guest made his move on Red Marauder and was able to pass his rival. He closed out the victory after being considered a 33/1 shot for the title at the start of the meet. The French horse would taste victory by the narrowest margins in the 2012 National. There were a number of quality competitors in the field at Aintree, including the 2011 champion Ballabriggs. 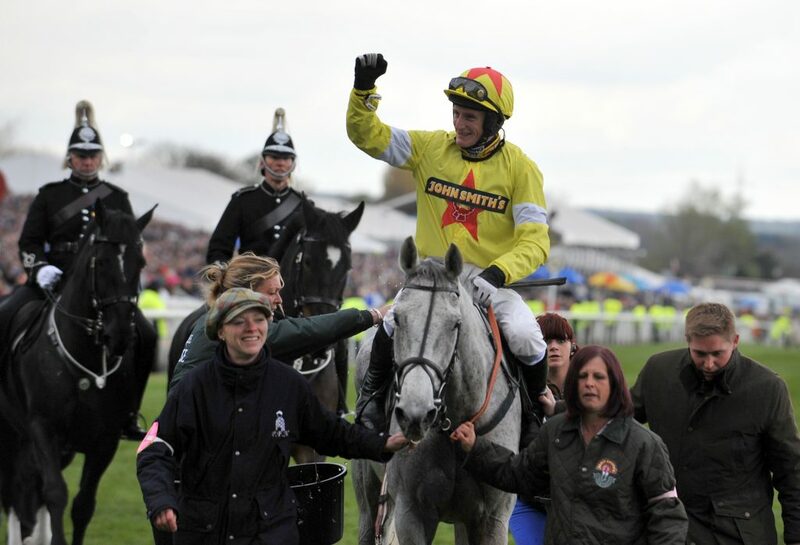 Seabass was considered the favourite for the event, with Neptune Collonges an outside bet at odds of 33/1. Synchronised delayed the start of the contest by unseating Tony McCoy and running loose on the track before being brought back to the start line. Tension was high in the early stages and there were a number of early falls, including Synchronised who fell at Becher’s Brook. Daryl Jacob kept Neptune Collonges in contention for the crown late in the contest and remained in striking distance of the leader with two fences remaining. Down the stretch, Sunnyhillboy had the lead, but the French horse closed with a surge of speed, with the duo seemingly inseparable at the finish. However, the judges announced after a brief delay that Paul Nicholls’ charge triumphed by a nose. The meet that never was occurred in 1993 when the Grand National did not name a winner for the first time since the Second World War. Party Politics won the race in 1992 and was considered the favourite to secure the crown for the second year on the bounce, becoming the first horse since Red Rum to achieve back-to-back titles. The start of the race had already been disrupted by the appearance of animal rights protestors, forcing a delay. Keith Brown was the official in charge of the start of the meet and was forced into action when riders set off after being caught in the tape. The competitors were recalled, but on the second attempt Richard Dunwoody on Wont Be Gone Long became tangled in the tape. The majority of the field set off on the course, only this time the recall flag failed to deploy. Thirty of the 39 competitors were in action on the course, despite the desperate appeals of officials for them to stop. A small group stopped at the 14th fence after realising the situation, but a contingent continued on their path, including Esha Ness. Esha Ness won the event, but the Jockey Club deemed the race void almost immediately, while £75m of bets were refunded. The race lives in infamy as a result that never was and remains to date the only National that was voided in its history.